The Mustangs open the 2014-15 season at the UNT Relays on Friday. SMU will see North Texas, Arkansas and American Athletic Conference opponent Houston. The event will take place at 6 p.m. CT at the Southlake Natatorium. The Ponies finished third at the event a season ago, picking up eight top-three finishes. SMU finished the 2013-14 season with a 20th-place finish at the NCAA Championship in Minneapolis, Minnesota. The Mustangs compiled six All-America honors from five different student-athletes. Marne Erasmus led the team with a pair after finishing third in the 100-yard butterfly and breaking her own school record with a 51.50. Erasmus was also part of the 400-yard medley relay team with Nina Rangelova, Isabella Arcila and Rachel Nicol that placed 11th. Tara-Lynn Nicholas picked up the Mustangs’ last honor as she placed eighth in the 100-yard breaststroke. The SMU swimming and diving team placed nine student-athletes on the 2014 all-conference team. Participants were awarded the honor for placing top three in their respective events at the inaugural conference championship held Feb. 19-22. Members of the all-conference team included Isabella Arcila, Monika Babok, Ursa Bezan, Marne Erasmus, Nathalie Lindborg, Kirsty McLauchlan, Tara-Lynn Nicholas, Rachel Nicol and Nina Rangelova. The Mustangs posted 18 individual ‘B’ standard times and four provisional relay times during the 2013-14 season. Of those qualifying times, SMU sent five relay teams and four individuals to the NCAA Championship. Marne Erasmus posted a pool and school record in the 100-yard butterfly to earn an ‘A’ standard time of 51.73 at the American Athletic Conference Championship. Seven swimmers competing in eight different countries earned numerous medals and had record-setting performances to make 2014 a successful summer for the Mustang women’s swimming and diving program. Recently-graduated Nina Rangelova and Monika Babok, seniors Isabella Arcila and Rachel Nicol, junior Anna Volchkov and sophomores Marne Erasmus and Tara-Lynn Nicholas made a splash on the global scene with their performances. The Mustangs return 19 letterwinners for the 2014-15 season. Included in the list are 17 All-America honors, 11 individual conference championships and team members from 11 different conference championship relay teams. Alexandra Manasso (Austin, Texas; freestyle), Morgan Johnson (Olney, Maryland; distance freestyle/butterfly), Kyra Kondis (Sandy Spring, Maryland; sprint freestyle), Kathleen Charron (Atlanta, Georgia; individual medley/freestyle), Adrienn Santa (Pecs, Hungary; freestyle/butterfly), Madeline Wainman (Coquitlam, British Columbia; diving) and Tiffany Sudarma (Austin, Texas; backstroke/butterfly) arrived the Hilltop this fall. A three-year letterwinner at Westwood High School, Manasso was a second-team all-state selection, as well as an all-state honorable mention honoree. She also earned first-team all-district honors and helped her team to a pair of district championships in 2011 and 2012. 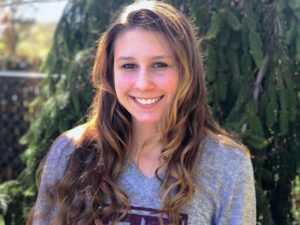 For her work in the classroom, Manasso earned academic all-state accolades and was a member of both the National Honor Society and National German Honor Society. She also swims club with Lost Creek Aquatics. 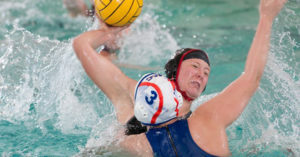 Olney, Maryland, native Morgan Johnson comes to SMU after earning four varsity letters at National Cathedral School in Washington, D.C. She was an All-Met Honorable Mention selection from 2012-14 and earned All-Independent School League accolades in 2011, 2013 and 2014. Johnson was also named her team’s MVP in 2011 and 2014. Her prep career also includes participation with Machine Aquatics. 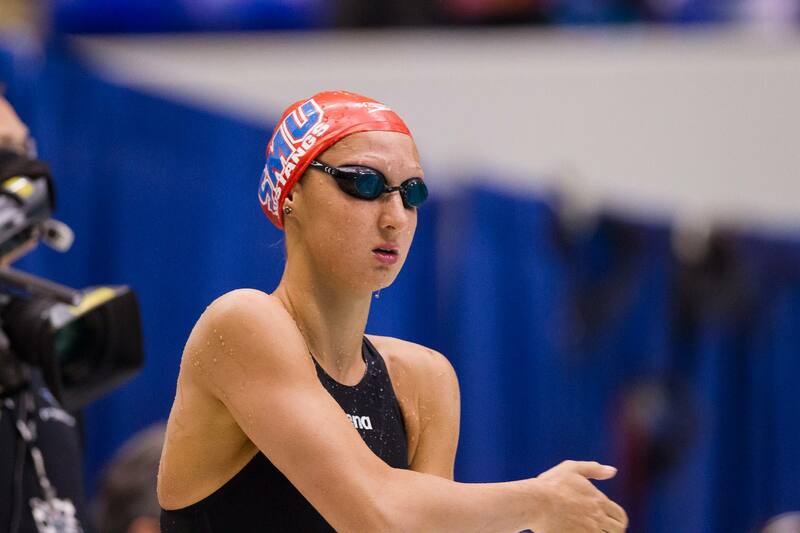 A teammate of Johnson’s at Machine Aquatics, Kondis, will also make her debut at SMU. Kondis competed at NCSA Junior Nationals in 2012, 2013 and 2014 and at the Arena Grand Prix Series in Austin. She graduated in the top five percent of her class with the third highest grade point average. Charron, who lettered four years at Holy Innocents’ Episcopal School, served as her team’s captain and was named Most Valuable Swimmer as a freshman and earned the Coaches’ Award as a sophomore. During her junior and senior seasons, she garnered Girls’ High Point honors. Charron was a member of Swim Atlanta from 2011-14 and competed at NCSA Junior Nationals in 2013. A four-year letterwinner from Pecs, Hungary, Santa earned the Sportswoman of the Year of Arpad Award in 2012, 2013 and 2014 as well as the Arpad Award for Sport Achievement in 2013 and Arpad Award for Academic Work in 2014. As part of her club (PSN ZRT), she garnered Sport Achievement Award accolades each year between 2006 and 2014. Diver Madeline Wainman finished first in the one-meter dive and second in three-meter at the 2013 B.C. Summer Provincials. At the 2013 Canada Summer Games, Wainman was third in three-meter synchronized, ninth in platform and 10th in the three-meter. As a member of the White Rock Divers, she was named the Top Female Athlete in 2013 and 2014. The final addition to the program is transfer Tiffany Sudarma. Sudarma comes to the Hilltop from Miami after spending a season with the Hurricanes and competing at the ACC Championship. 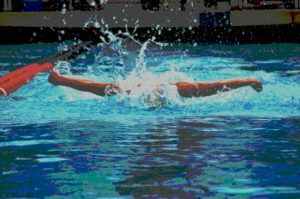 She spent her freshman season at Daytona State and competed in backstroke and butterfly events. College Swimming News courtesy of SMU Swimming and Diving.